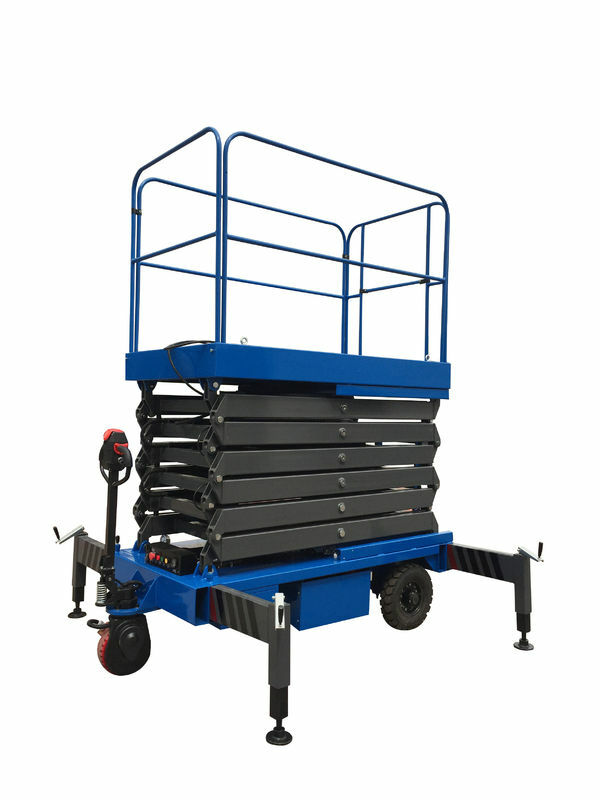 Description: This motorized scissor lift is an ideal aerial working platform for replacing lights, cutting unnecessary branches, mending roof, painting walls and etc. With a motor device and a spring towing handle for pulling, pushing & steering the table, it is convenient for a single person to move and operate. Made up of stronger and rigid manganese steel ensure loading max 450kg safely. 7. 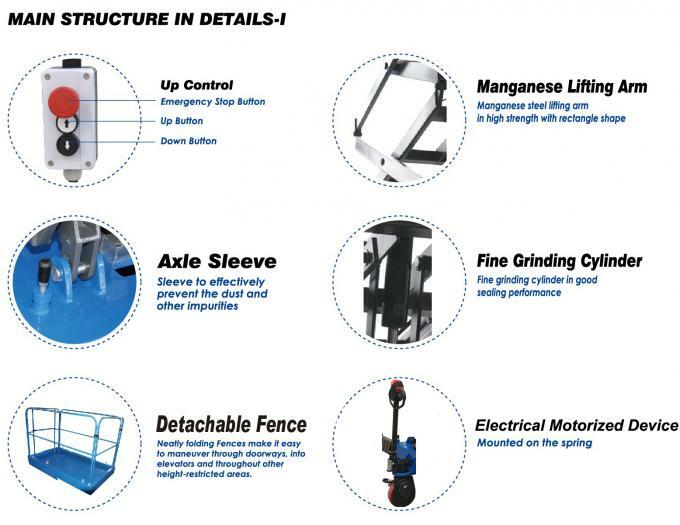 The outriggers can be fixed on any position within 90° to suit different working circumstance and the length of the outriggers has connection to the payload. 8. With level gauge to indicate the horizontal situation of the machine, only the bubble is in the middle of the gauge, the machine can be lifted. For the Electrical part, all steel tube cable outlets will be protected by insulating ferrules.